Feds approve utility corridor for Enefit’s Utah Project! Readers of this newsletter know that Enefit has been engaged in a nearly six-year effort to seek approval to extend industrial-scale utilities across a sliver of federal land. So, to say Monday, Sept. 24th, was a big day for us is quite an understatement! Management, signed a Record of Decision authorizing a right-of-way-grant for utilities and an access road improvement across BLM land. The agency’s environmental review found that allowing Enefit’s utility corridor would have less environmental impact than other alternatives, such as trucking commodities into and out of the Project site in a remote area of eastern Utah’s Uintah Basin. The signing of the Record of Decision and BLM’s issuance of the ROW grants is the last step in the process, following the Final Environmental Impact Statement that was approved by Interior Secretary Ryan Zinke’s office and published in the Federal Register on May 18th. The release of the FEIS triggered a public comment period, ending July 9nd with only a few comments received and none raising new issues. While interest groups have the right to appeal within 30 days of the Record of Decision being signed, all concerns raised by third parties throughout the EIS process have been resolved to the BLM’s satisfaction. What’s more, the agency has been very mindful of closely following all process rules and requirements in anticipation of a legal challenge, so we’re optimistic that any appeals will not be successful. The signing of the ROD and granting of a right-of-way across federal land is a major milestone for Enefit’s Project and keeps us on a positive path moving forward. Once again, we sincerely appreciate the unwavering support we have received from public officials and supporters during this long process! Enefit American Oil CEO Rikki Hrenko-Browning will join the Utah Petroleum Association as the organization’s new President on Jan. 2, 2019. Until then, Hrenko-Browning will continue in her position at EAO, after which Ryan Clerico, EAO’s Head of Development and Environment, will become CEO. Clerico has been with EAO since August 2012 and has previously served as acting CEO. “I am looking forward to continuing the progress in making a U.S. commercial oil shale industry a reality,” said Clerico. Over the course of a more than 20-year career, Clerico has worked in a broad range of such industry segments as energy and infrastructure; mining; oil and gas; commercial and residential real estate; and transportation. Clerico has demonstrated success gaining major approvals and entitlements at the federal, state, local and international government levels for complex and controversial projects, while ensuring continued stakeholder support, as well as taking projects through full construction and into operation. Clerico is a Certified Environmental Professional (CEP) with experience in all aspects of the environment, health and safety, and social license to operate, including numerous technical publications. 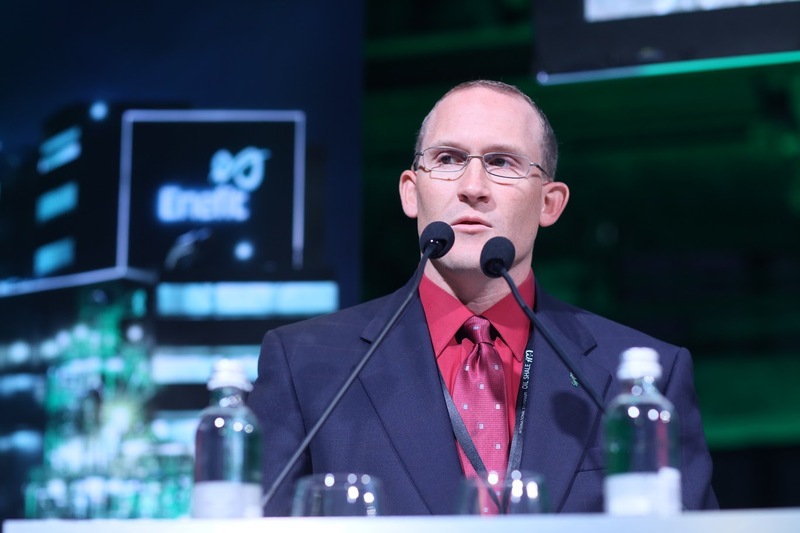 Enefit, of which Enefit American Oil (EAO) is a wholly-owned subsidiary, recently announced its strategic action plan for the next four years, 2018-2022. The strategy is designed to build a strong foundation for long-term competitiveness, profitability and dividend solvency. Based in Estonia, Enefit plans to expand its activities in the Baltic Sea region, offering energy solutions to customers in Estonia, Latvia, Lithuania, Poland and Sweden. The company also plans to expand its renewable energy production in the same region. In addition to its home region, the company is seeking opportunities to export its know-how of processing oil shale to energy to markets around the world. In addition to the Utah Project, Enefit already has cooperation projects in more than 10 countries with oil shale deposits, including Morocco, Myanmar and Jordan. Enefit is investing in both its well-developed oil shale industry and diversifying into other fuel sources to ensure that people now and in the future have access to reasonably priced and cleanly produced energy. Key developments include making an investment decision in 2019 to expand its Estonian footprint by building another oil and electricity cogeneration plant, as well as other facilities to increase liquid fuels production by nearly 10 percent and improve fuel quality. If approved, 2024 is targeted for completion of the new facilities. In addition to preparing for the next Enefit280 oil plant and increasing the value of liquid oil production, the firm is working to increase the use of its by-products, such as waste rock and ash, and preparing for new renewable energy projects. 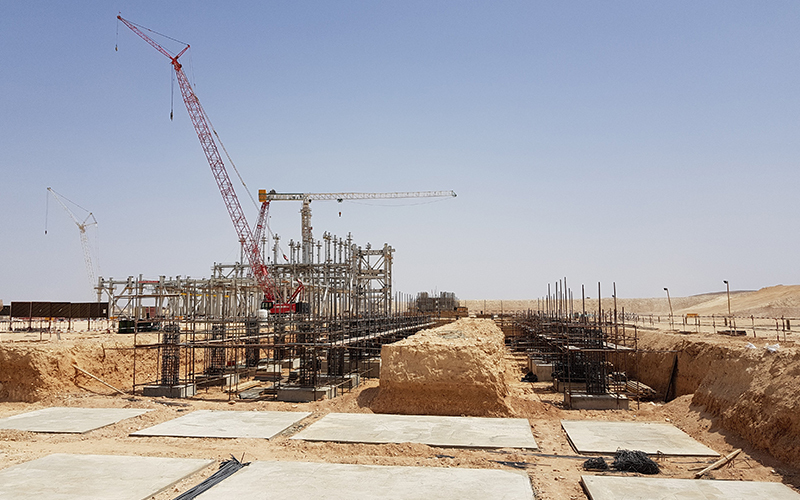 The company is increasing electricity production from renewable and alternative sources, targeting a 40 percent share of its output by 2022. 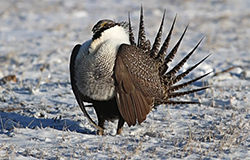 The U.S. Bureau of Land Management is considering land use plan amendments aimed at conserving and protecting greater sage grouse by improving communication and collaboration between states and the Federal government. As a result, BLM published the Utah Greater Sage Grouse Draft Resource Management Plan Amendment and Environmental Impact Statement on May 4th. The BLM’s draft proposes the “Management Alignment alternative” – which Enefit supports – to bring consistency between the BLM’s resource management plans and the State of Utah’s plan. The state plan is wide-ranging, commits to use the best-available science and enhances habitat for future generations. The state plan was developed and implemented to combat the decline of the species and its habitat, and to preclude a listing under the Endangered Species Act. These efforts are showing positive results. However, there are still some points in the BLM draft that need to be clarified, such as the use of the term “occupied habitat,” as well as a lack of clarity regarding mitigation requirements in areas previously designated as general habitat. In the BLM draft, the specific habitat designation “GHMA” is removed entirely, as it is not recognized in the state plan. However, it appears BLM may still require mitigation in previous GHMA areas, even though the designation/term itself has been removed.BLM also recently issued Instruction Memorandum 2018-093 on July 24 which removes the requirement for compensatory mitigation when not otherwise required by law or a binding land use plan. Similarly, the U.S. Fish and Wildlife Service has recently withdrawn its November 21, 2016 policy requiring “net conservation gain” through mitigation as being contrary to law. 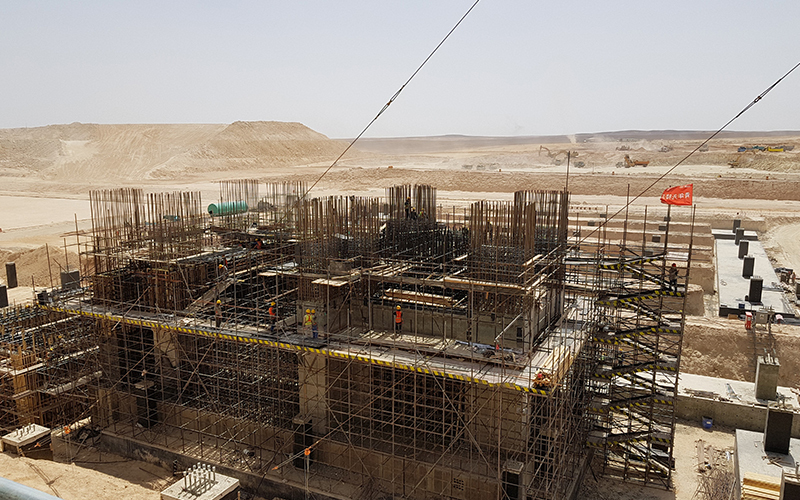 Construction is moving quickly on the Enefit-affiliated oil shale project in the Middle East country of Jordan, where both a new oil shale mine and oil shale power plant are being built. Crews recently placed the steam drum of the Unit 1 boiler 45 days ahead of schedule, marking substantial completion of the boiler’s steel structure. The power plant has a target opening date of 2020. Enefit is also developing a liquid fuels plant similar to one planned for the Utah project. To unsubscribe from this newsletter, click here. If you know someone who would like to subscribe, they can do so here. SALT LAKE CITY – Enefit American Oil (EAO) is pleased that – nearly six years after work began on an extensive environmental review – the U.S. Bureau of Land Management (BLM) issued its Record of Decision on Wednesday, September 26, 2018 which will allow the extension of utility lines across a small portion of federal land to serve the company’s planned oil shale project in eastern Utah’s Uintah Basin. The Record of Decision (ROD) approving the Final Environmental Impact Statement was signed by Joe Balash, the US Interior Department’s Assistant Secretary for Lands and Minerals Management and authorizes a right-of-way-grant allowing Enefit to extend utilities and an access road improvement across BLM land. 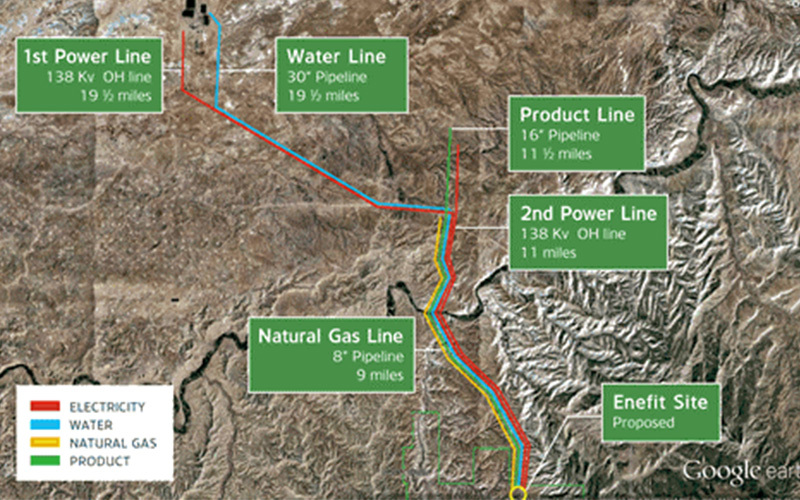 The agency’s environmental review found that allowing Enefit’s utility corridor would have less environmental impact than other alternatives, such as trucking commodities into and out of the Project site in a remote area of eastern Utah’s Uintah Basin. “This is a tremendous milestone for our future project and for energy development in Utah and the Mountain West region,” said Enefit CEO Rikki Hrenko-Browning. While EAO’s energy project would be developed on private property the company owns, industrial-scale utility lines to serve it must either cross federal land or be trucked to the site. In the case of electricity, the inability to connect to a nearby power line would likely require the company to build a power-generating station. The BLM’s analysis found that these alternatives would be more environmentally detrimental than allowing a narrow, 15-mile utility corridor across federal land. The utility corridor will include water and natural gas supply lines, 138-kilovolt electricity lines, road improvements, and an oil product pipeline. In addition to providing its complete cooperation to the BLM during the EIS process, EAO has been an active participant in other environmental issues, most notably a Conservation Agreement signed in August 2014 by a wide range of federal, state and local agencies to conserve two sensitive penstemon plants and prevent an endangered species listing. EAO voluntarily set aside more than 1,600 acres of its private property for a penstemon conservation area and is supporting plant surveys and transplantation efforts that are already showing dramatic success. Visit EnefitUtah.com for more information about the company and its Utah Project. SALT LAKE CITY – The Utah Petroleum Association (UPA) today announced it has hired Rikki Hrenko-Browning, current CEO of Enefit American Oil, to serve as president effective January 2, 2019. Hrenko-Browning today has overall responsibility for Enefit American Oil’s greenfield oil shale development project in eastern Utah’s Uinta Basin, including management of project planning, engineering, permitting, lobbying and public relations. Prior to her current role, Hrenko-Browning was the International Project Director and an environmental policy expert for Enefit (Eesti Energia) in Estonia. In 2014, Hrenko-Browning was selected as one of “30 Women to Watch” by Utah Business Magazine. She has served as an officer, on the executive committee and as a board member for the Utah Mining Association. She is a previous board member of the National Oil Shale Association. An Ohio native, Hrenko-Browning graduated with distinction from Carnegie Mellon University with a master’s degree in public policy and management. She holds a bachelor’s degree in botany and environmental science.